1 Give ear to my words, O Lord, consider my groaning. 2 Heed the sound of my cry for help, my King and my God, for to You I pray. 3 In the morning, O Lord, You will hear my voice; in the morning I will order my prayer to You and eagerly watch. 4 For You are not a God who takes pleasure in wickedness; no evil dwells with You. 5 The boastful shall not stand before Your eyes; you hate all who do iniquity. 6 You destroy those who speak falsehood; the Lord abhors the man of bloodshed and deceit. 7 But as for me, by Your abundant loving kindness I will enter Your house, at Your holy temple I will bow in reverence for You. 8 O Lord, lead me in Your righteousness because of my foes; make Your way straight before me. 9 There is nothing reliable in what they say; their inward part is destruction itself. Their throat is an open grave; they flatter with their tongue. 10 Hold them guilty, O God; by their own devices let them fall! In the multitude of their transgressions thrust them out, for they are rebellious against You. 11 But let all who take refuge in You be glad, let them ever sing for joy; and may You shelter them, that those who love Your name may exult in You. 12 For it is You who blesses the righteous man, O Lord, You surround him with favor as with a shield,” Psalm 5:1-12. We give thanks that 2 Years on from the referendum we have grown by 13% in sales to exports of 616 billion. 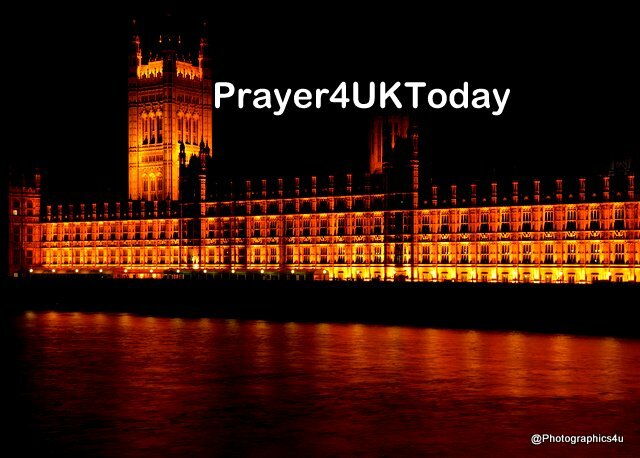 We pray for an atmosphere of co-operation between the EU and Britain from now on helping us to make the right trade deals that will be right for Britain and the EU..
o We decree and declare we are to PROCLAIM the YEAR OF FAVOR of the LORD/ Adonai and the day of vengeance of our God/ Elohim; to COMFORT all who mourn, yes to PROVIDE for those in Zion who mourn, giving them garlands instead of ashes, the OIL OF GLADNESS instead of mourning, a cloak of praise instead of a heavy spirit, so that they will be called oaks of RIGHTEOUSNESS planted by the LORD/Adonai, in which He takes PRIDE. o We decree and declare that we, the People of God/ Elohim, will REBUILD THE ANCIENT RUINS, restore trade relations long destroyed; we will RENEW the relationships with nations destroyed many generations ago. Strangers will stand and feed our flocks, foreigners will plough our land and tend our vines; but we will be called PRIESTS of the LORD/ ADONAI, spoken of as ministers to our God/Elohim. We thank You that You will arrange for foreigners to come to help our farmers, the NHS and industry. o We decree and declare we will FEED on the WEALTH of NATIONS, and revel in their RICHES. What you own in the land will be DOUBLED, because of your shame which was doubled, and JOY FOREVER will be yours. o We decree and declare LORD/ Adonai, YOU HEAR OUR WORDS! You know our inmost thoughts. LORD/ Adonai, in the morning You HEAR OUR VOICE; in the morning we lay our needs before You and WAIT EXPECTANTLY!. o We decree and declare the LORD/ Adonai HEARS US, and shows us His FAVOR! The Lord/ Adonai is our HELPER! He turned our mourning into DANCING! He removed our sackcloth and clothed me with JOY, so that our well-being can PRAISE Him and not be silent; the LORD/ Adonai our God/ Elohim, we will thank You FOREVER! o We decree and declare a CLEANSING and UNIFYING of the people of this land as these decrees go forth.